Those links are more frequently updated. I am working on a new website and will let you know when its up and running. Hope you all are doing well. Leave me a comment and say hi! Have a wonderful day! Work in Progress, Come see! Hi everyone! Hope you are having a wonderful week. Just wanted to pop on real quickly and let you know about my Instagram. I have been doing allot of illustrations and art and kept very busy with that over the past few months. And I WILL be coming back with stamps over at Unity Stamp Co. and A Jillian Vance Designs, I cant wait to show you what I have been working on. If you want to see fun and exciting sneak peeks and what I am working on, join me on my Instagram: at WEEMEMORIES. Hope you come join me! I am working on a new layout for my blog and website. I cant wait to roll it out. Im pretty excited. And MY Owls WILL be back! I have had allot of questions about that and I wanted to let you know they will be making a comeback. Have a wonderful rest of your week! 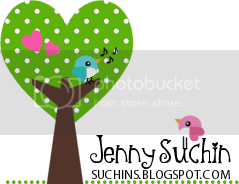 Jenny S.
Hi everyone!! It sure is cold outside. It's finally winter in California. It's been warm all year till just recently. I hope you will come over and play with us over at Split Coast Stampers. 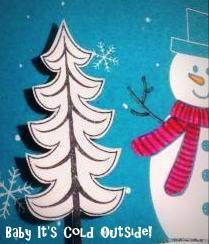 In our Fan Club Gallery our theme this month is "Baby It's Cold Outside" ... so many fun cards and project you can make with that theme. I shared a little sneak of one of my cards above, you can see the rest HERE. I hope you will come play with us! Just hop on over to Split Coast Stampers. Thanks for peekin in! Hope you all are ready for Christmas. We are busy busy getting ready. Its a very busy time of year. I also would like to send my prayers out to Connecticut and the families affected by the horrible tragedy that occurred Friday. Our hearts are very heavy. While we should be celebrating the joys of this time of year, we are praying and coming together for those little lives lost and those Heros that saved lives. My daughter has really taken the news hard and has been a bit closer with me and sleeping with us. HUGS your little ones a little tighter right now.